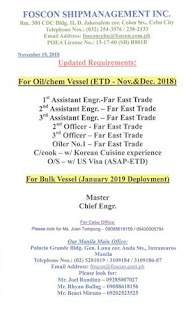 SEAMAN JOB INFO - Posted Nov/19/2018 FOSCON SHIPMANAGEMENT INC. 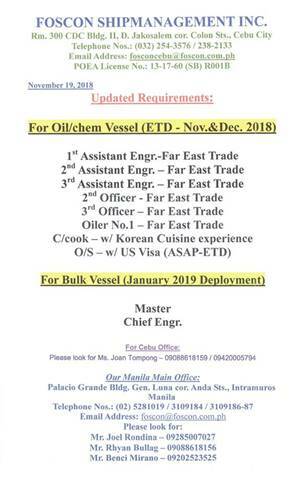 Opening jobs hiring looking Filipino seaman crew join on Bulk carrier, Oil tanker vessel deployment November-December 2018. 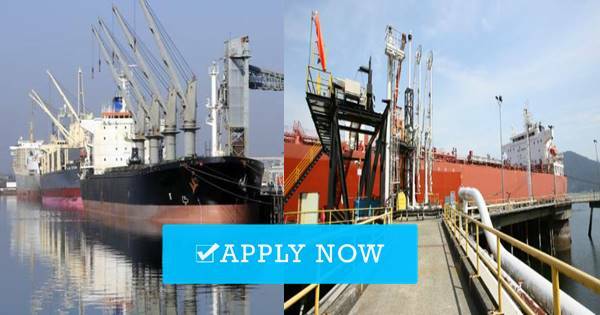 0 Response to "Master, C/E, O/S, Cook, 3/O, 2/O, 1/E, 2/E, 3/E For Tanker & Bulk Carrier Vessel"